Doesn't look much like a cruise missile to me. 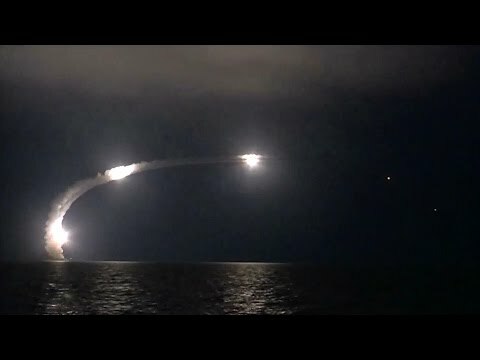 The most amusing that Russia doesn't need the prohibited cruise missiles as it has in large quantities made cruise missiles of sea and air basing which can strike any purposes which are potentially interesting Russia now. These are rockets which were actively used against ISIL directly from the closed Caspian Sea. In these conditions there is no sense to break any treaty. Europe so almost all is in a defeat zone. And rockets of small and average range all the same won't reach the USA. For this purpose there is ICBM.